Sometimes a garden doesn’t require a total redesign and reconstruction: simply a revision of its soft landscaping is enough to greatly alter its function and feel. We specialise in delivering new planting designs, working within the existing hard landscaping features of your garden whilst creating fresh areas of interest and beauty. Revitalise and repurpose your garden – without the cost and time of large building works. Applying our comprehensive design process, we can take any ideas you have and guide you – with mood boards, drawings and virtual layouts – to an understanding of how your garden can look and be used. Borders – Replace tired, limp borders with vibrant, sophisticated planting. Trees, Shrubs and Hedges – Bring in large woody plants for shelter, privacy and seasonal colour. 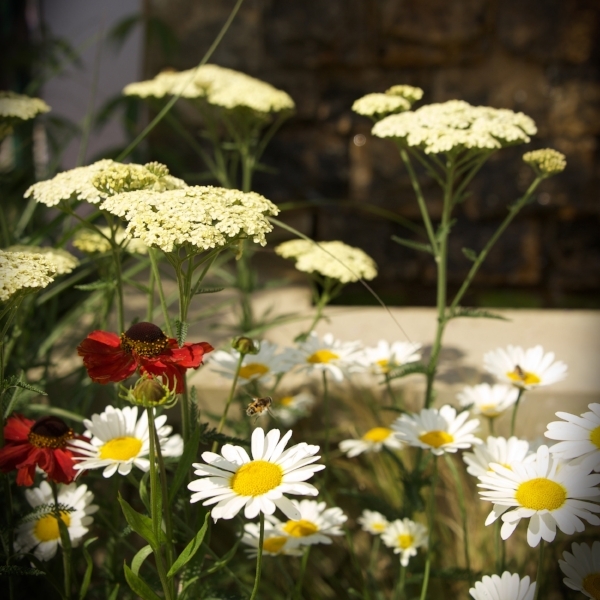 Lawn and Meadow – Create an instant family friendly, hard-wearing lawn or a wildlife haven. Pots and Planters – Turn bare, open patio into a cosy spot for entertaining.